By Alan Green in Salt Lake Potash (SO4) on 9th November 2018 . 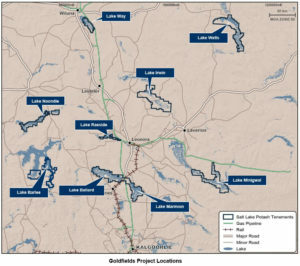 Salt Lake Potash Limited (the Company or Salt Lake) is pleased to announce that it has received strong commitments from both existing and new institutional and sophisticated investors in Australia and overseas to subscribe for 31.0 million new ordinary shares of the Company (Ordinary Shares), to raise gross proceeds of $13,000,000 (Placement). 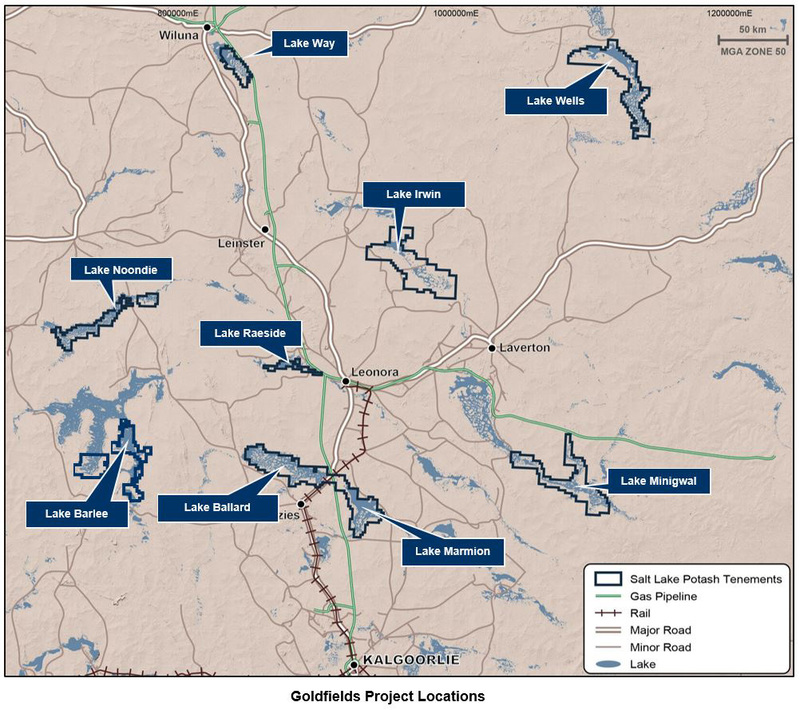 There was very strong demand for the Placement, an endorsement of the recent appointment of Tony Swiericzuk as CEO and also of the Company’s world class Sulphate of Potash project. The cornerstone investor for the Placement is a significant international investment fund. Directors and senior management intend to subscribe for a total of 2.4 million shares in the Placement, including 952,381 shares by the CEO, Mr Tony Swiericzuk, and 750,000 shares by the Company’s Chairman, Mr Ian Middlemas, which will be issued subject to shareholder approval. Argonaut Securities Pty Limited and Canaccord Genuity (Australia) Limited acted as Joint Lead Manager to the Placement. The issue price of A$0.42 represents a 13.4% discount to the last closing price of $0.485 on ASX. (a) 29,250,000 shares will be issued on 16 November 2018 under Listing Rule 7.1 (11,745,041 shares) and Listing Rule 7.1A (17,504,959 shares). Following the issue of these shares the Company will have 7,612,398 remaining issue capacity under Listing Rule 7.1 and no remaining issue capacity under Listing Rule 7.1A. (b) 1,702,381 shares intended to be subscribed for by Directors will be issued on or about Thursday 20 December 2018 subject to shareholder approval. A notice of general meeting will be sent to shareholders shortly. The proposed participation in the Placement by Tony Swiericzuk, and Ian Middlemas constitutes a related party transaction under Rule 13 of the AIM Rules for Companies. The independent directors, having consulted the Company’s nominated adviser, Grant Thornton UK LLP, consider that the terms of the transaction are fair and reasonable insofar as the Company’s shareholders are concerned. Application will be made to the AIM Market of the London Stock Exchange (“AIM”) for 29,250,000 Ordinary Shares, pursuant to the Placement, which rank pari passu with the Company’s existing issued Ordinary Shares, to be admitted to trading. Dealings on AIM are expected to commence at 8:00am on or around 16 November 2018 (“Admission”). For the purposes of the Financial Conduct Authority’s Disclosure Guidance and Transparency Rules (“DTRs”), following Admission, Salt Lake will have 204,299,596 Ordinary Shares in issue with voting rights attached. Salt Lake holds no shares in treasury. This figure of 204,299,596 may be used by shareholders in the Company as the denominator for the calculations by which they will determine if they are required to notify their interest in, or a change to their interest in the Company, under the ASX Listing Rules or the DTRs. (d) A fee of up to 6% may be paid to the Brokers/Advisors in connection with the Placement under rule 7.1A. The voluntary halt of trading of the Company’s shares on ASX was lifted prior to the opening of trade on 9 November 2018, following an announcement to the market regarding the above.